The menu styling for The Fox theme is extremely generic – it’s not coded modularly, so its styles affect UberMenu and interfere with its functionality. Due to how generic and non-modular the styles are, there will actually be 3 separate steps necessary to stop the theme from interfering. Though this won’t have an effect just yet – see step 2. The theme also wraps the menu in an extra nav tag, so even after changing UberMenu’s tag, those styles will still apply. 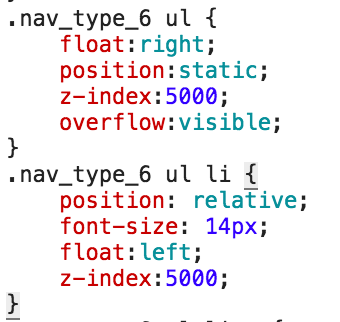 The theme also has another set of styles based on the nav_type class on that wrapper. To overcome this, we’ll use manual integration. If you install the child theme and WordPress says it can’t find the parent theme, make sure the ‘template’ in the child theme style.css matches the name of your parent theme’s folder exactly, including capitalization. Note: this has not yet eliminated all residual styling. See step 3. In most cases, this would have already resolved the residual styling issue. 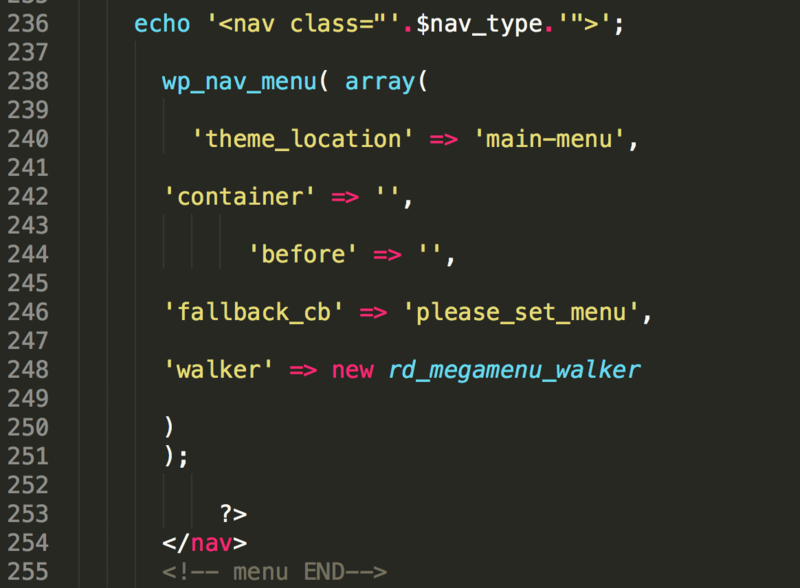 However, this theme adds its nav_type class twice – once in the nav tag parent of the menu (which we eliminated in step 2), and once on the header tag. This redundancy, and the fact that styles based on this class are so generic, mean we need to remove both instances of the nav_type class. So at this point, we’ve eliminated the interfering CSS from the theme. If you want the menu aligned to the right, change the Menu Bar Alignment to the right. To push the menu down a bit, you may want to set the Margin Top to something between 25 and 30px. This will depend partially on your logo size. Or, just remove it (hide with CSS or remove from header.php) and add a search bar via UberMenu instead.